​Spin Your Wheels - for Meals! Friends, foliage, and fun -- and all for a good cause! It’s the Hungry Lion Bike Tour, one of the best bike events in New England. Join us for awesome cycling on rolling country roads with thrilling descents and amazing fall scenery. You are our guests for the day, and our Lions will take care of you with well-marked routes, road maps, rest stops with nutritious treats, and sag wagon service. (Plus a BBQ celebration, prizes and a live band at the end!) You’ll have the time of your life – and you’ll be helping end hunger and food insecurity in southern Vermont. 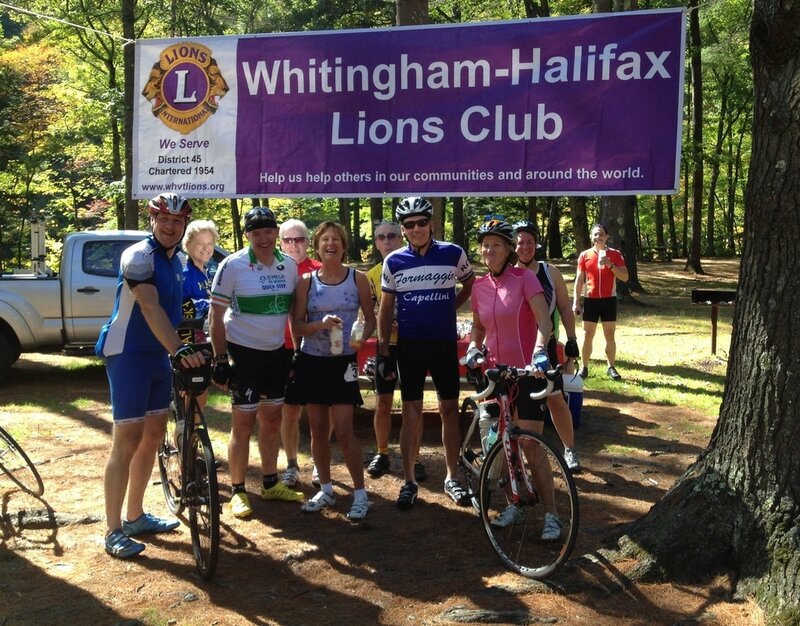 On September 28, the Whitingam-Halifax Lions Club will host the Eighth Annual Hungry Lion Bike Tour (HLBT) through southern Vermont and western Massachusetts. The HLBT attracts riders from all across New England and even as far as New York City, to enjoy fall foliage rides of 5 to 75 miles. Our 2019 tours will offer cyclists a choice of rides through a wide range of terrain, from challenging hills to riverside lanes, from rolling countryside to picturesque villages. HLBT's four fully supported rides include rest stops with healthy snacks, water and beverages, as well as a barbecue & band celebration at the finish. Sag wagon support is available for riders who request it en-route, and riders are eligible to win a variety of prizes including bike gear and gift certificates from local businesses. All rides start and finish at Town Hill in Whitingham, Vermont. Take a moment to watch the video. Preregister. Tell your friends. Bring your helmet. Join Us!! "The Hungry Lion Tour is a GREAT way to cap off a season of biking in Southern Vermont (and New Hampshire and Western Massachusetts)! My husband and I participated in the very first ride in 2012, and had so much fun that we plan around it every year. September is a beautiful time of year to be touring through the back roads of Vermont, and the Lions club “crew” kept us well fed. Perhaps most importantly, I felt pretty good about being able to raise some money for a very worthy cause – helping those people right here in our area who regularly struggle to afford nutritious meals for themselves and their families."